The Dow Jones Industrial average dropped at least 100 points today, before eventually trading another 45 points down on the heels of General Electric falling more than 3 percent. In all, the Standard & Poors 500 fell, though only 0.1 percent, industrial and energy stocks leading the decline. Also, the Nasdaq composite index dropped 0.2 percent, snapping its longest growth streak since February 2015. At the very least, General Electric was able to report better-than-expected quarterly results, even as sales fell 12 percent on the year, putting revenue at $29.56 billion. 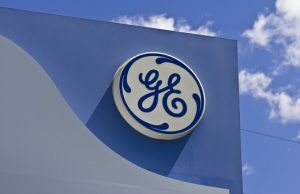 The drop in revenue does comes at a time when GE’s weak energy business was offset by some growth in power and renewables; also, the company saw a nearly 60 percent drop in net profit since the same period over last year. General Electric reported earnings per share on operations were down 45 percent year-over-year, now at 28 cents. Still, this is slightly higher than the average estimate analysts had given: 25 cents per share. GE executives contend that the shortfall is simply just an abundance of new products coming on to the market. This includes everything from jet engines to power generators to locomotives. The company now backs its prior guidance for fiscal 2017 earnings, which sits between $1.60 and $1.70 per share; also organic sales growth between 3% and 5%, though they have also warned that profit will remain on the weak side. Indeed, Chief Financial Officer Jeremy Bornstein said, “Given our outlook on oil and gas and power, we are trending to the bottom end of the range.” Still, GE is under more and more pressure to show how it is pivoting away from financial services and more focus on making jet engines and other industrial parts. Though the second quarter results may have beat analyst revenue and earnings expectations, Wall Street remains cautious until the company can show greater signs of prosperity.